NIALL HORAN IS currently on a rampage to appear on every radio and tv show in America to promote his new solo album, Flicker. He played some tunes on Jimmy Kimmel Live on Monday night, before stopping in to talk to On Air with Ryan Seacrest. I get my spit back. Guess what I am? A third Irish. MY BROTHER. It is with great pride we celebrate your album. As fellow Irishmen, it’s like a family member is giving birth today. Let’s go for a pint of Guinness. He later played some Irish trad music, before challenging Niall to take the test. Well, from what I’ve gathered, I’m one hundred percent Irish. Stand by that Nialler, last thing we need is American claiming you. Email “Ryan Seacrest told Niall Horan he's a third Irish and a lot of cringing ensued ”. 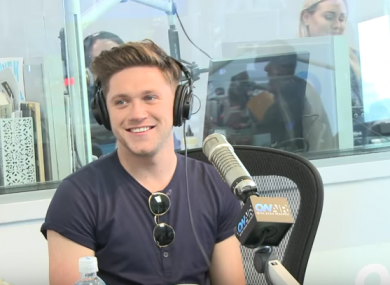 Feedback on “Ryan Seacrest told Niall Horan he's a third Irish and a lot of cringing ensued ”.